No, I’m not talking about the Tigers, although that seems to be appropriate. 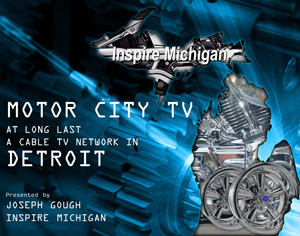 I’m referring to Inspire Michigan Radio. We wrapped up another season of positive momentum on the SE Michigan airwaves… and other parts of the state are starting to join the party. We have had inquiries from three “out state” stations that are interested in picking up the show next year! We could not be more excited about the response of our little weekly show. Remember, we began as a podcast in 2007. We formed as a charitable business entity in 2008, received our tax exempt non-profit status in February of this year, and now we may be looking at syndication for the show when it returns in the Spring of 2010. Not bad for a 2 and half year old. Why isn’t Vision Quest recognized as on of the best 80’s movies? It has the obligatory early Madonna track, the fetching seductress Linda Fiorentino, a young and vulnerable Matthew Modine… all wrapped in a story about overcoming insurmountable odds on a wrestling mat, and in the bedroom. A young Forest Whitaker can also be found on the same wrestling team as Jake from Sixteen Candles. Today’s generation is stuck with farcical romps about cheer camp and unrealistic tales of gridiron glory. They’ll never know what they missed.